Firefighters are desperately battling to contain a fire raging through a Trump hotel tower in Azerbaijan. 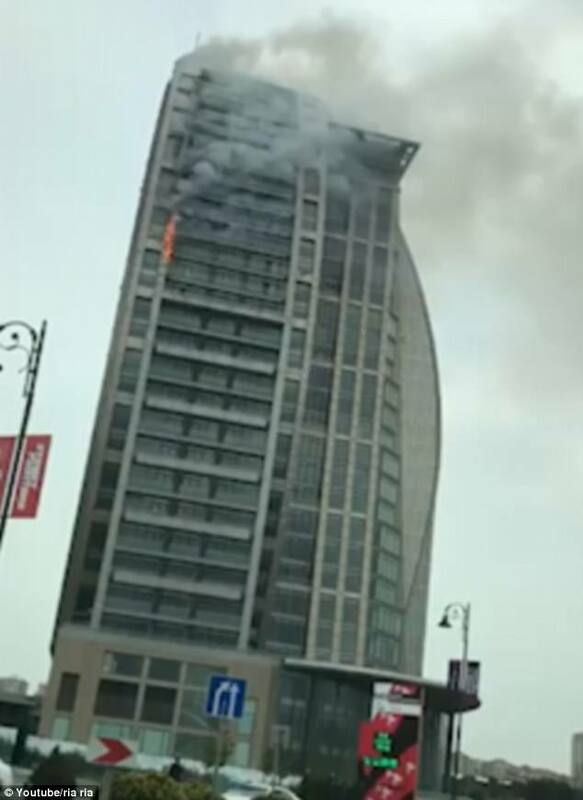 The fire broke out on the middle floors of the 33-storey Trump International Hotel and Tower in Baku on Saturday afternoon. Six fire engines were on site battling the blaze but there were no reports of injuries. 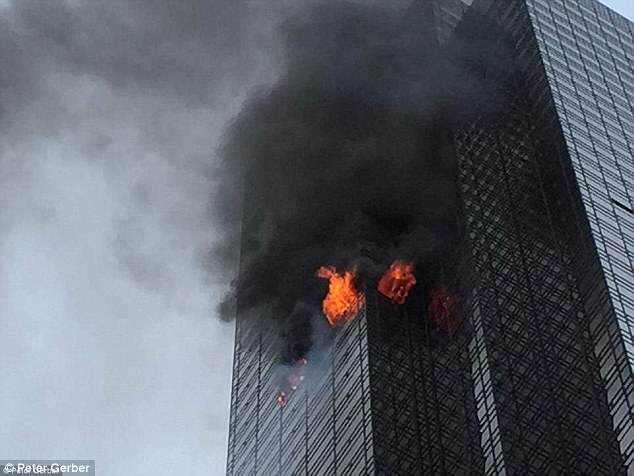 Firefighters are desperately battling to contain a fire raging through a Trump hotel tower in AzerbaijanThe fire in the unfinished building started just weeks after a man died in an apartment fire in New York's Trump Tower. Construction on the Baku tower started a decade ago but was never opened. It was taken over by U.S. President Donald Trump's company in 2012. The fire started just a day before the Azerbaijan Formula One Grand Prix with drivers and their entourages already in the city.